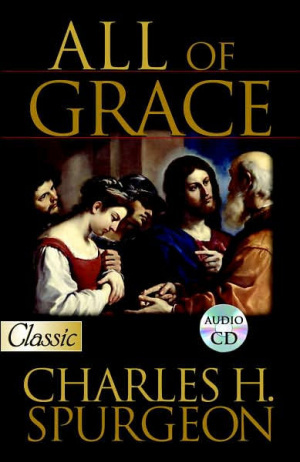 This book presents a comprehensive teaching on the subject of God's grace. Spurgeon shows how salvation is all of grace, and he bases this thesis on several Scriptures, including Ephesians 2:8-9. Spurgeon outlines the plan of salvation in this book in the hope that many who read it will trust Christ for salvation. In fact, he opens the book with these words, "My intention in writing this message is that many will be led to the Lord Jesus." All Of Grace by Charles Haddon Spurgeon was published by Bridge Publishing in January 2007 and is our 36666th best seller. The ISBN for All Of Grace is 9780882703350. Be the first to review All Of Grace! Got a question? No problem! Just click here to ask us about All Of Grace.